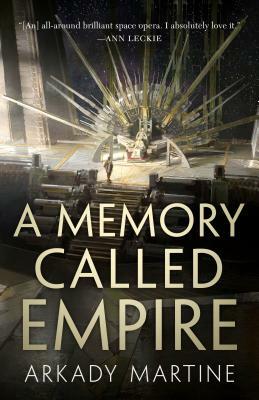 Rich with wondrous imageries, fascinating cultural etiquettes, and polished dialogue just as arresting as it is hilarious, A Memory Called Empire is a fresh and welcoming addition to the bulging shelves of science fiction. Curated with numerous fictitious excerpts from the likes of ship manuals, ancient literature texts, and garbled ship transmissions, the world within the story is vividly alive. Arkady Martine has not only produced a space opera the likes of an Ann Leckie or James S.A. Corey, but also a social discussion on how things, places, and people are remembered; whether in word or something much more personal. There is also a strong commentary on world politics and borders set on an interstellar scale. A Memory Called Empire is truly one of the few books I will reread again and again, not only for personal pleasure, but also as a reminder of great storytelling done right.